1. Select your your item of clothing such as Polo shirt, Hoodie or a T-Shirt from our store. 2. Next select Add a Logo /design and choose the area you would like the embroidery or print. 3.Files you can upload are jpg, jpeg, ai, eps, pdf, png, psd, tiff, with a minimum of 300DPI at actual print size. Please do not send web files, please ensure the files belong to you. We hold no responsibility for copyright. 5. Some designs suit only one particular method of embellishment. If you have chosen one which we feel would not suit your design, we will let you know as soon as possible. 6. Our working schedule is between 10-15 working days. If you require them earlier, please let us know when you order.Sometimes beyond our control and extremely busy periods we have the right to extend the delivery 28 working days. If you require a print a set-up fee will apply if the image is not at a high resolution. The best image to send for a logo would be a vector image. EPS, AI, CDR. If supplying your own clothing/product the embroidery/printing will be charged at £4.00 per logo up to 120 x 120mm and £7.00 per logo up to 250mm x 180mm. 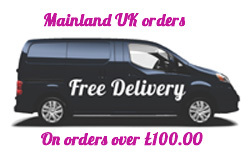 Free postage on orders over £100.00. If you need any help please don't hesitate to contact us using the information below.